All opportunities include an 8x8 booth, 6ft. table with gray drape, if you do not need your table please contact sherry@pilmma.org. Full-page color ad in Summit Program due by April 15, 2019 send to office@pilmma.org. Logos must be received no later than April 15, 2019 send to office@pilmma.org. Basic Wi-Fi will be available in meeting space, if you require a larger band Wi-Fi or a hard wire will need to be ordered separately through the hotel (waiting on order form from hotel). Booth Selection will be in the order of Sponsorship level, then by registration date, you will be contacted to select your booth closer to the event.. Welcome reception – to be held in Exhibitor area Tuesday, June 25, 7pm-9pm (all booths must be set up prior to 6:00pm, if not the Welcome Reception will be moved to another location). Exhibitor Registration & Set up time: Tuesday, June 25 2:00 pm – 6:00 pm, June 26 7:00 am – 8:30 am. Exhibitor Tear Down time: June 28 6:00 pm – 7:00 pm. There are not set hours for Exhibit Hall, please review the event agenda to make your own determination to your attendance. To ensure exhibitors the most exposure, the Welcome Reception, Morning Coffee Breaks and Refreshment Breaks will be located in the Exhibitor Area. **Please have return labels with you to return your packages/boxes to your company, PILMMA will not be responsible for any packages left at the venue. 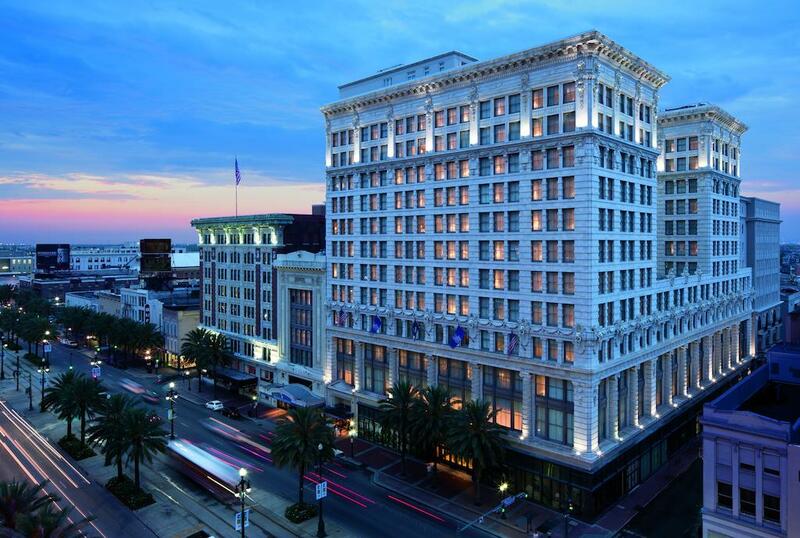 Reservations: Online at www.ritzcarlton.com/neworleans or through Ritz-Carlton Central Reservations at 1 (800) 826-8987. Representatives: All representatives attending the PILMMA Summit must be listed with your companies registration prior to June 1st, please email sherry@pilmma.org with your representatives’ names and emails. All representatives are required to wear their nametags at all times during the event. Attendee Swag Bag Items: only specific levels of sponsorships are allowed to add a promotional item to the attendee swag bag. If anyone else would like to add a promotional item to the attendee swag bag there is a charge, please see the registration form. ALL SWAG BAG ITEMS MUST ARRIVE AT THE PILMMA OFFICE NO LATER THAN JUNE 1, 2019. Please address swag bag items with the following: PILMMA, Attn: Summit Swag Bag, 701 Broad Street, New Bern, NC 28560. **all promotional items are subject to PILMMA approval – Do Not Bring your Promotional Item to the Summit to be added to the Attendee Swag Bags.